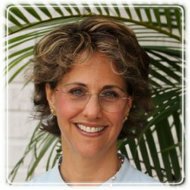 Delray Beach Therapist: Pamela Goffman - Therapist 33483. Send A Message To Pamela. Compassionate, expert care with deep insight. Without highly trained and highly experienced guidance, we are unable to see our own unconscious behaviors. Attachment theory is at the core of the work we will be doing together, whether we are working individually, in a couple, family or group. If you are experiencing anxiety we will use a combination of CBT, meditative techniques and some creative experiential work to help you develop tools tailored especially to combat your anxiety. I have an excellent track record in treating anxiety. I am a certified Imago Relationship Therapist. Taking this approach we will focus on compassionate and responsible communication between the couple. As we go deeper, looking at unfinished business from childhood that we bring into our relationships a skilled facilitator is necessary, as much of this is unconscious. When working with bipolar disorder and depression, I have tremdous compassion and experience. Psychoeducation is key in learning how to manage symptoms and improve relationships. Along with psychodynamic treatment, experiential therapies, spirituality and CBT there is hope. As a former movement teacher, I bring an accute understanding of somatic process to my practice which is especially helpful in working with anxiety, trauma recovery, and body image. I take a holistic approach to treatment, assessing for balance in the biological, psychological, social, sexual, emotional, spiritual and financial realms of our lives. With expertise in treating the GLBT population, I have educated practioners on gay positive treatment. Addiction is both an individual and family issue. I view most addiction as a way of coping with underlying issues of attachment disorder, trauma, anxiety disorder or mood disorder. Once "sober" we can begin addressing these underlying issues. Parenting is another specializtion in my practice. I have developed a parenting paradigm that focuses on the importance of attachment, validation and disapline. Publications include many columns on parenting issues arrising during adolesence. These were originally published on Daily Lit where I served as the Expert Parenting Consultant. I invite you to visit my web site for further information: www.PsychodramaInstituteofSouthFlorida.com. Thank you.